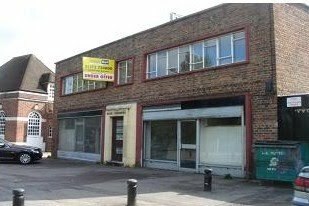 A planning application has been submitted to convert vacant premises in Green Lane, Worcester Park, into a mosque. In March 2010, The Worcester Park Blog exclusively revealed that a local group was seeking to create a 'Worcester Park Islamic Community Centre' in the Bank Chambers premises next to Kingfish, although no planning application had been submitted at the time. When contacted by the Blog in 2010, a spokesman for the organisation denied that they were proposing a mosque at the site, and their website which called for 'Muslims locally and internationally to donate generously towards building the House of Allah' in Worcester Park was hastily taken offline. Now, a formal planning application has been submitted to Sutton Council for permission to turn the premises into a place of worship. If plans are approved, the mosque would operate virtually around the clock with the first prayer session, in summer months, starting 4am and the last session starting at 11pm. Documentation submitted in support of the application claims that only 10-15 people are expected to visit for each of the five daily prayer sessions - despite later assertions that the mosque is needed to meet the needs of the "hundreds of Muslim families [who] live within Worcester Park and surrounding areas" and despite a subsequent acknowledgement that the building "can accommodate up to its maximum of 140 people". Traffic congestion in Green Lane is already a major issue, with frustrated local residents already reporting queues of more than 10 minutes to get from the bottom of Green Lane and on to Central Road. Despite already congested on-street parking, the application for the mosque claims that there will be no significant impact on traffic congestion and parking issues, citing the location's excellent public transport infrastructure. Local residents have until 10th August 2012 to submit their comments, support or objections to the proposed mosque in Worcester Park. The full planning application and supporting information can be found here. Comments on the proposed mosque can be sent to Sutton Council via this online form. Food Market and Tea Party Today!